Yes! CodeHS Pro now supports customization of point values for exercises within the automatic gradebook. By using the Grading Schema "My Custom Points," you can choose your own point values. From the Gradebook page for a class, click the "Configure" button at the top right. Upon editing a points value, a green checkmark will appear to show that the update was successful. Your custom point values will now be used to calculate student grades. The CodeHS Gradebook is a Pro feature. 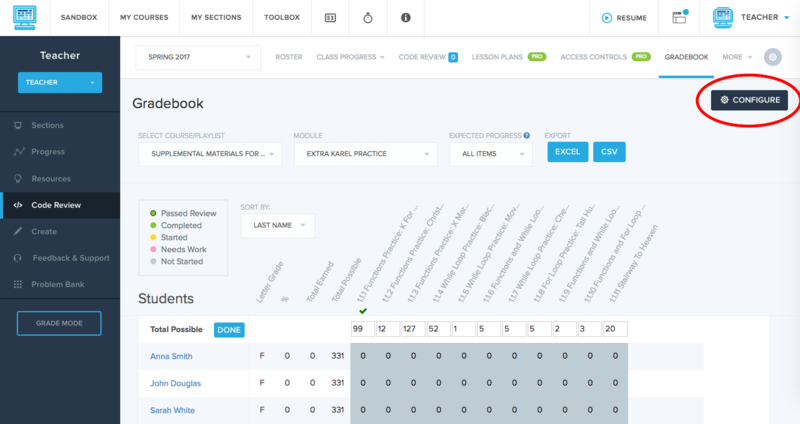 If you would like to learn more about the Gradebook and other features on CodeHS, you can email hello@codehs.com.